Lap pools are a low-maintenance, high reward pool that allows you to exercise and entertain without having to take up a lot of space. A lap pool is an incredibly underrated type of pool. Lap pools are great for exercising, provide a great space to hang out, and can add a stunning element to your home’s design. Lap pools don’t have to be boring; they can be a place not only to work out, but a place to sit back, relax, and enjoy your surroundings. Here are a few ways that lap pools can add to your life and your home. Lap pools tend to be long and rectangular, to give a swimmer enough space to move in the pool to get a real workout. 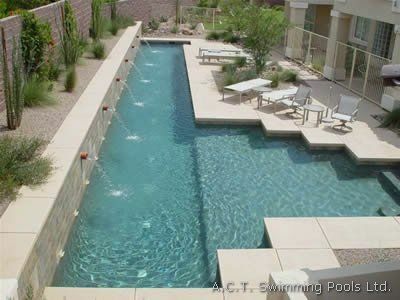 Lap pools can be more than 50 feet in length but are usually built fairly shallowly. Lap pools can fit in narrow spaces which make them ideal for people who want the benefits of a pool without having to worry about the water overtaking the backyard landscaping or being a hassle to take care of. In addition to being great for workouts and hydrotherapy, lap pools are good for entertaining. Small children can swim safely in them without parents having to worry about them getting lost in a larger pool. 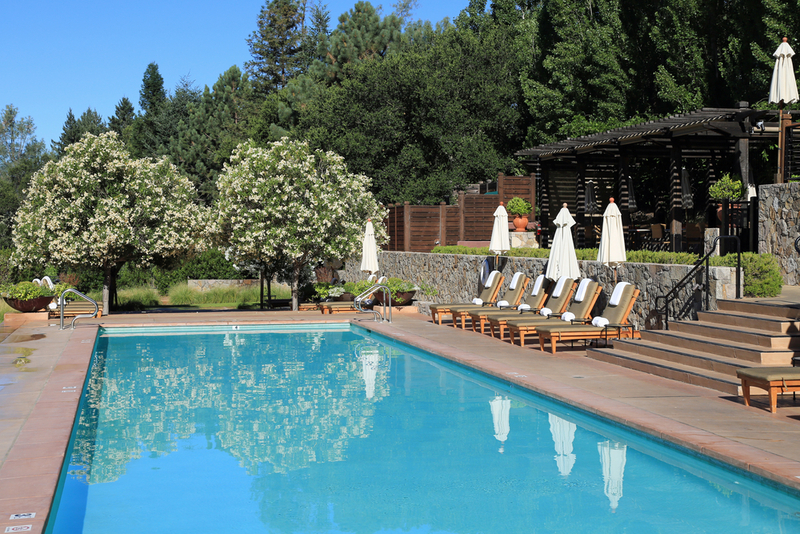 A lap pool can also provide you with a serene place to sit, enjoy warm days, and meet with family and friends. 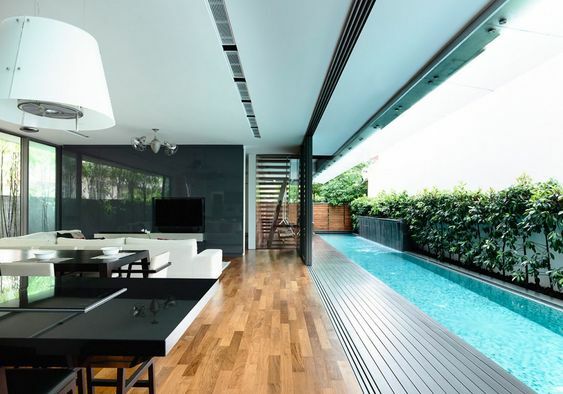 Lap pools tend to run parallel to a house to save space. As they are often located close to a house, deck, or patio, lap pools can easily be integrated into your existing design scheme. 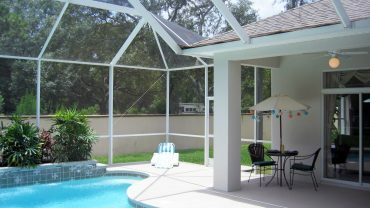 If you want to add a roof or retractable cover, you can use your existing roof line to extend a cover over your pool. Their size makes these kinds of pools easy to maintain and clean. Lap pools can also be combined with a small hot tub, giving you another small water feature that is perfect for relaxing. 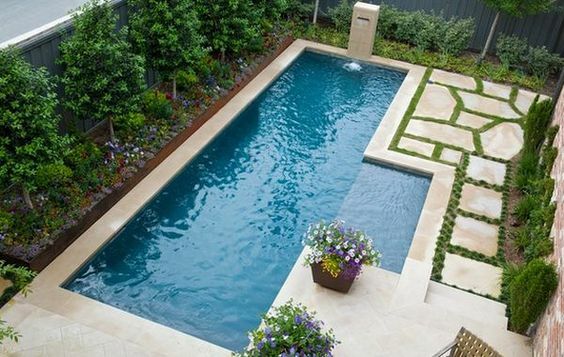 Pools could have a waterfall on the end of them or other water features that accent the shape of the pool. 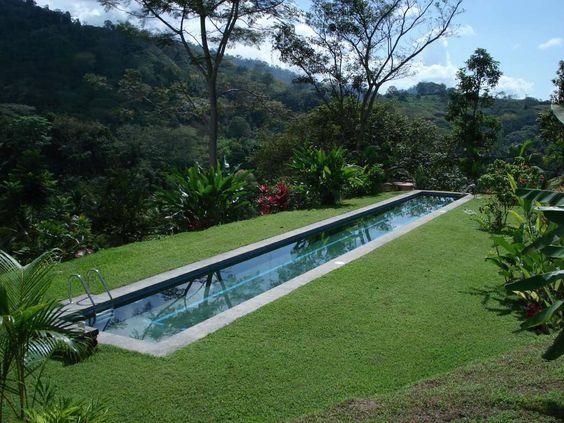 Landscaping around your pool is important for the overall look and feel of your pool area. Small bushes, shrubs, or flowers could be placed along the edges of the pool for a bit of privacy. 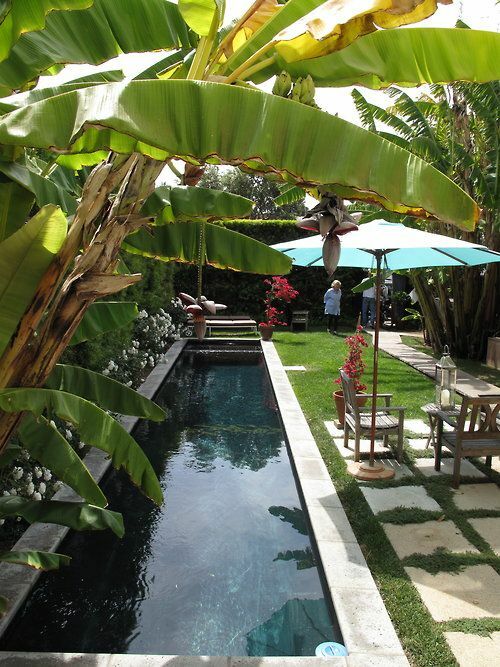 Larger trees or a grassy area can also add character to your pool space. Lap pools are versatile, which means they can be beneficial for you located inside or outside your home. A lap pool can be integrated into your existing home to benefit from natural light, stay out of the weather, and provide an in-home spa experience like no other. A combination of an indoor and outdoor lap pool is also growing in popularity. You benefit from the coverage of a roof while still being able to be outdoors and enjoying the weather. This can also be an easier space to clean, as you would be able to set up a shower or drying station before people come back in the house. This combination patio/pool area makes it easy to entertain friends and family, as well as enjoy some exercise when you want to swim laps. 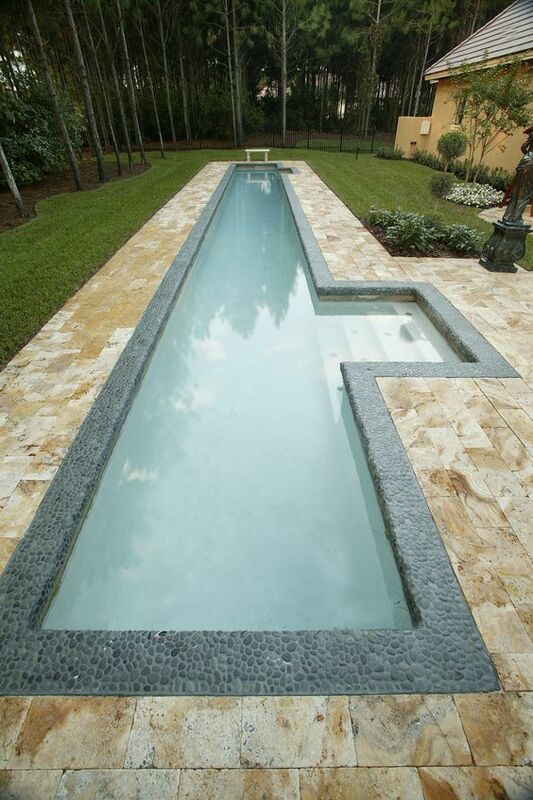 Lap pools can be small and narrow. 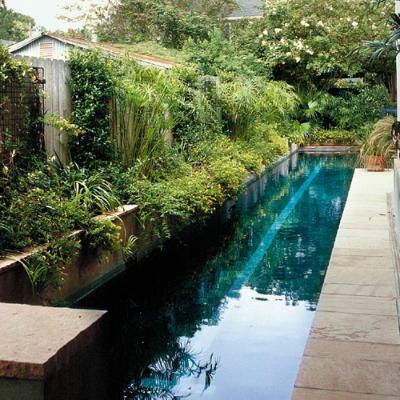 Some pools can create their own backyard space. 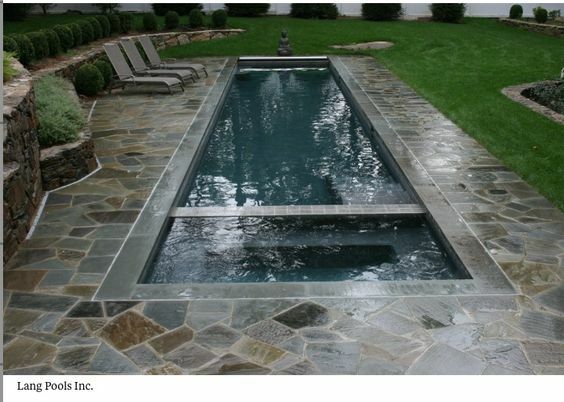 Pools can be integrated into a patio space. Bushes and trees can provide a bit of privacy. Ferns and other greenery can accent your pool. A hot tub can be added into a lap pool. 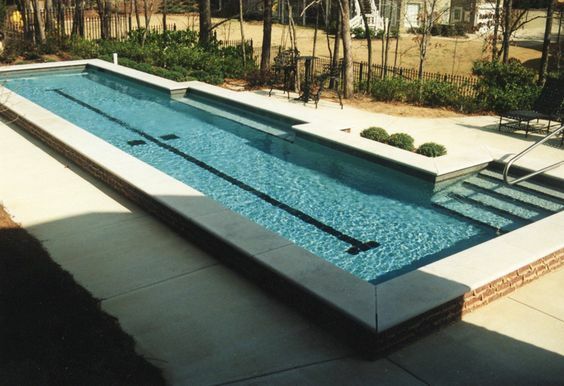 Lap pools can be integrated into a home’s design. Pools can also have entertainment space. A lap pool can be raised above ground. Build a roof over your pool. Create creative entries to your pool. Your backyard can be turned into an exercise haven. Existing foliage can be integrated into your pool. 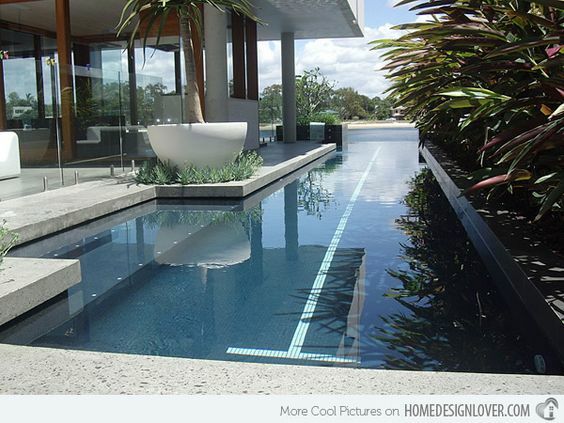 Create lanes in your pool with tiles. Pools can be a serene space.